Thank you for considering a donation to the International Trumpet Guild. Below you will find the most popular ways to donate and explanations of how your donation will help ITG fulfill its mission “to promote communications among trumpet players around the world and to improve the artistic level of performance, teaching, and literature associated with the trumpet.” The International Trumpet Guild is nonprofit association that has been recognized in the USA as a 501(c)(3) organization. Should you have any further questions, please contact [email protected] or phone +1 563-676-2435 (USA). Click here for a pdf if you would prefer to mail or fax your donation. 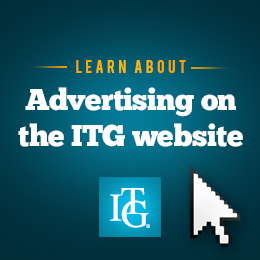 The ITG Legacy Endowment was created to provide an ongoing source of income to promote ITG’s mission. Donations to the Legacy Endowment are encumbered. That is, only a portion of the interest from the fund may be used for projects; the principal may not be touched. In this way, the fund will grow over the years and provide an increasing source of income. Projects may include, but are not limited to, commissions, jazz and solo competitions, book reprints, financial aid to ITG Affiliate Chapters and scholarships for students to attend ITG conferences. At this time the earnings from Legacy Endowment are being used to support student scholarships to the annual ITG Conference. Donations to ITG General Operating Funds are not encumbered so are available for the immediate needs of the Guild. Ongoing programs that draw on General Operating Funds include conference scholarships, Affiliate Chapter Grants, commissions of new trumpet music, support of the Ellsworth Smith International Trumpet Solo Competition, and prize money for conference competitions. General Operating Funds have also used to fund large projects such as the recent web site overhaul. Each year ITG awards scholarships to help students attend the annual ITG conference. A US$250 donation will go a long way toward supporting one student to attend this motivating, potentially life-changing event. To win a scholarship, a student must submit a recording of required pieces. A panel of judges then selects the most deserving ones for the scholarships—it is a distinct honor to win one of these! Scholarship winners and donors will be listed in the Conference program, announced during the awards ceremony, as well as in the conference write-up in the October issue of the ITG Journal. In addition to the US$250 each recipient receives free conference registration. Scholarships may be named by the donor. This is a great way to honor those that have reached a milestone, such as retirement, or those that have passed. Many choose to get a group together to make the US$250 donation in honor of someone. The donation can easily be made via the ITG web site, but please download and complete the donation form or email [email protected] with name of the scholarship and donor names so that we may record the scholarship as you wish. Because ITG conferences are inspirational no matter one's age, this new financial need-based grant will provide assistance to adults over 25 whose financial situation does not allow them to attend the annual ITG Conference. Cash awards from US$150 to US$250 and free conference registration will be awarded based on letters of recommendation from ITG members. The actual amount and number of scholarships will depend on dollars received. All dollars received by January 31st FEBRUARY 28, 2019 will be awarded for the next conference. There is no audition component or fee required for this grant. Letters of recommendation will be reviewed by a committee of ITG members, and recipients will be notified in March. Donors of Adult ITG Conference Grants at the US$100 level and above will be named in the conference program. Out of respect for privacy, recipients will NOT be named or acknowledged in the program or during the event. ITG members are encouraged to support this program by donating and/or nominating someone. Nomination Proceedure ITG Members may nominate adults over 25 by sending a letter to: Treasurer, International Trumpet Guild, PO Box 2688, Davenport, IA 52809 or email to [email protected], stating how the nominee would benefit from attending the conference as well as nominator's general understanding of the nominee’s financial need. The letter should include the name, address, email and/or phone and age of the nominee. Nomination letters must be received by the Treasurer by January 31st FEBRUARY 28, 2019 to be considered for the current year's conference.